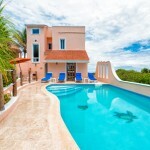 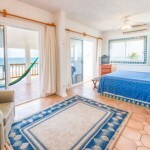 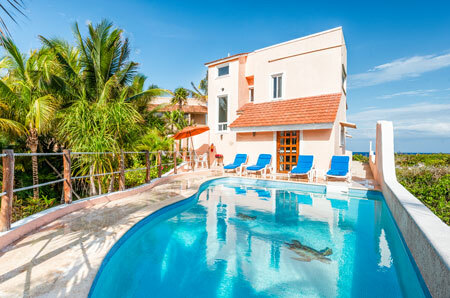 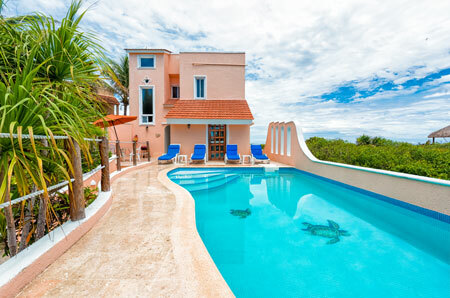 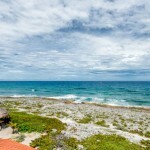 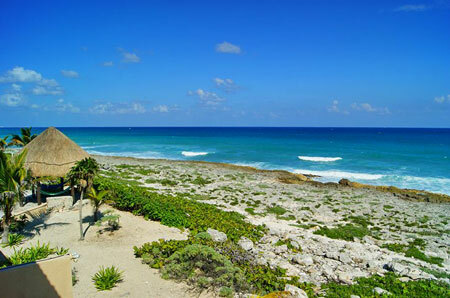 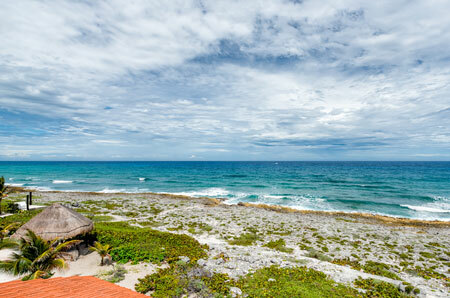 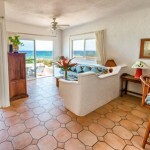 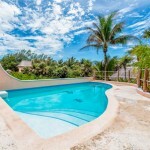 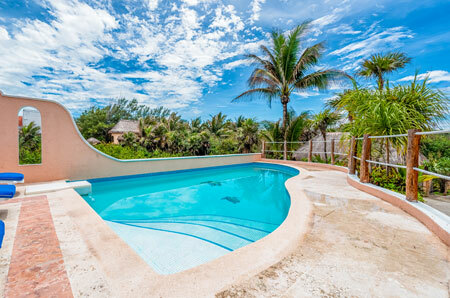 Casa Del Mar is a beautiful, oceanfront villa in North Akumal, offering comfort with Caribbean style. 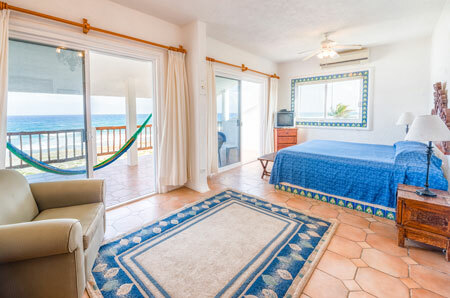 With three air conditioned bedrooms, the sea on one side, a great pool on the other, a rooftop observation deck with a spectacular 360° view of the Caribbean and the lush, tropical jungle, Casa Del Mar has the ingredients you need for a wonderful vacation getaway. 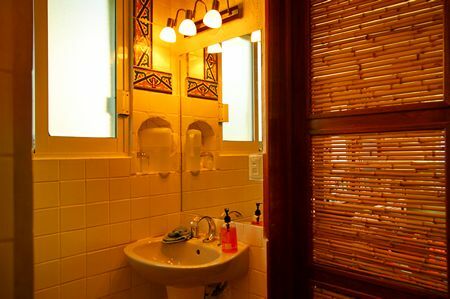 Sunrises with a cup of coffee, sunsets with a cocktail or stargazing at night all become a memorable experience up there. 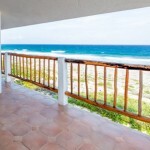 And there’s always a great breeze! 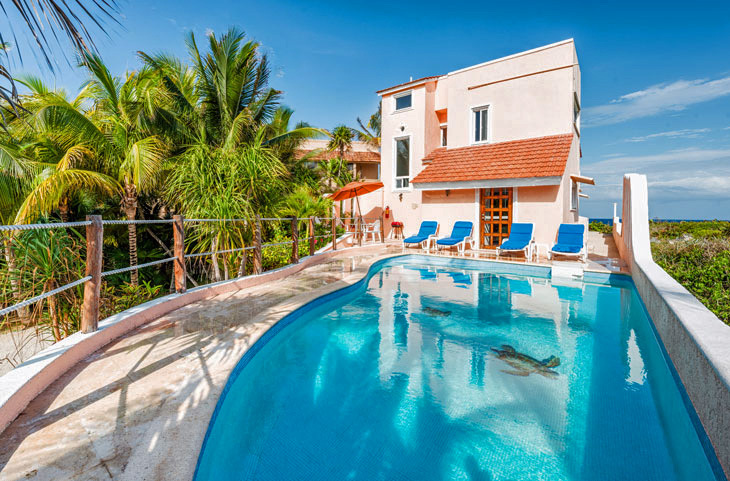 Those too timid for the heights might want to stick by the swimming pool on the garden side, with chaise lounges and a grilling area protected from the breeze, there’s plenty of room for just kickin’ back and doing nothing – all day long! 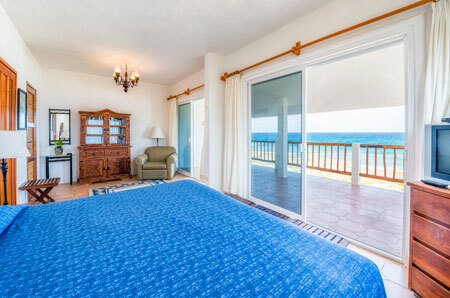 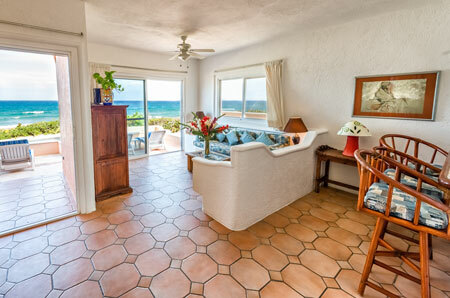 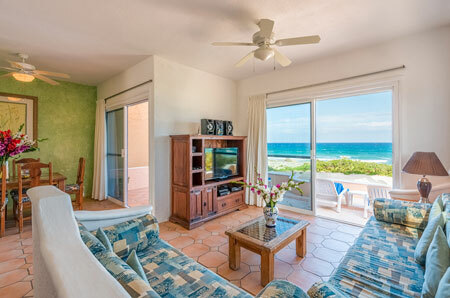 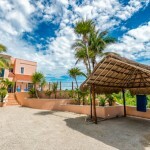 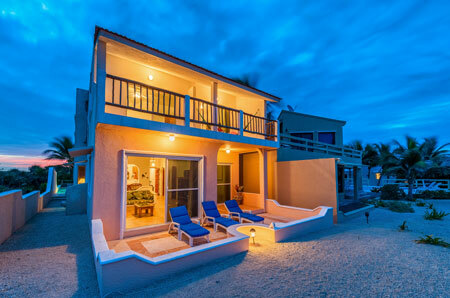 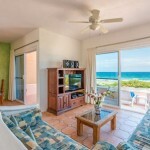 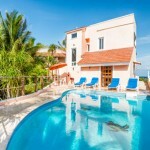 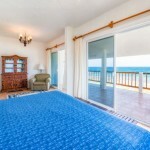 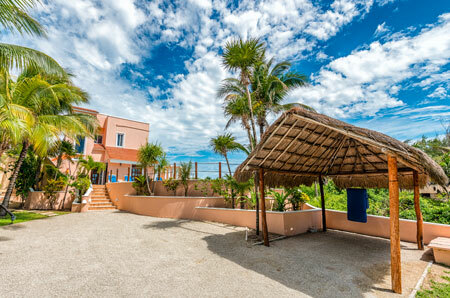 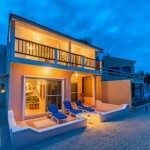 The first floor of Casa Del Mar has a comfortable living room with an embedded L shaped couch, facing those awesome sea views as well as an entertainment center with satellite TV, DVD and CD player. 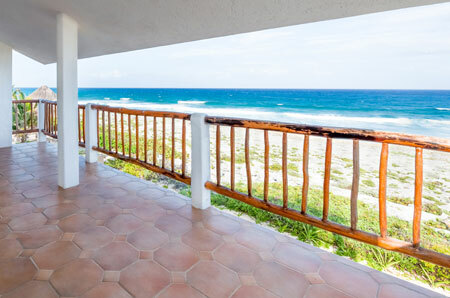 The open concept living and dining areas have glass sliders opening to the ocean side patio with striking views of the Caribbean. 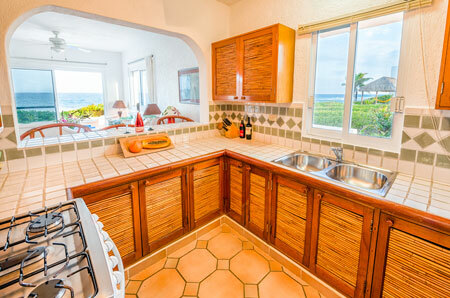 The kitchen has a raised breakfast counter, overlooking the living room and dining area and is well equipped with most major appliances, and the essentials like a microwave, toaster, blender, etc. 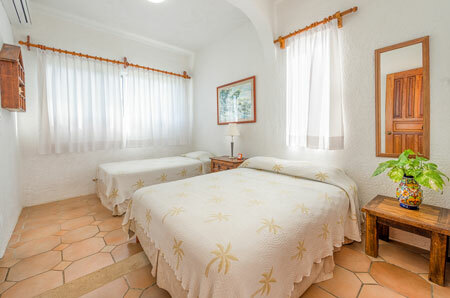 An air-conditioned bedroom is on the garden side of the first floor. 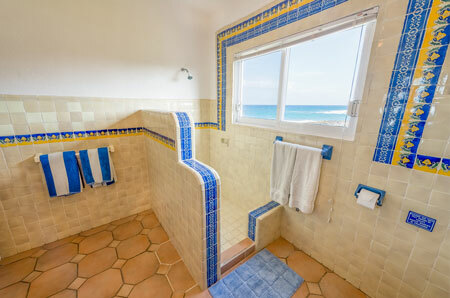 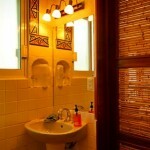 A first floor bathroom featuring hand painted Talavera tile work is just off the entry area. 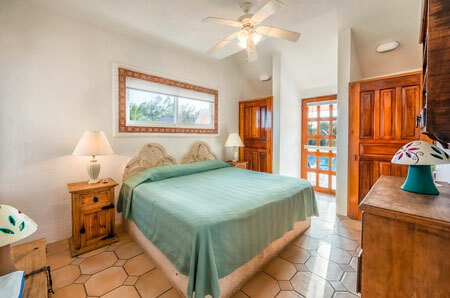 On the upper level, the master bedroom suite is spacious and has a large, private, ocean side terrace with breathtaking panoramic views of the Caribbean. 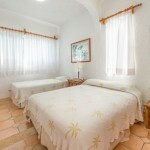 Also, on the upper level, is another smaller bedroom, furnished with one double and one single bed. 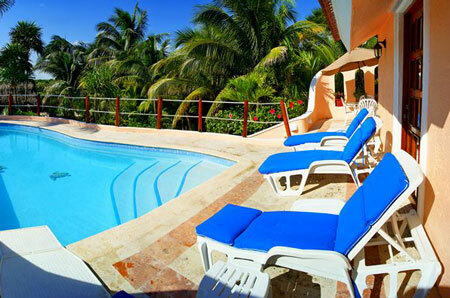 The patio by the front door overlooks the swimming pool and a charcoal grill is nearby for cookouts around the pool. 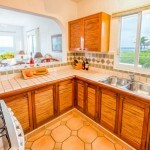 Both patios are perfect for entertaining. 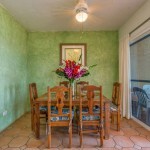 And if you like delicious, traditional Mayan and Mexican cuisine, you can arrange to have dinners prepared for you by the on site staff, for a small additional charge. 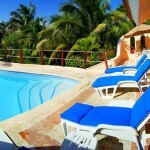 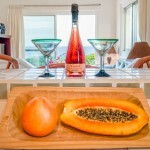 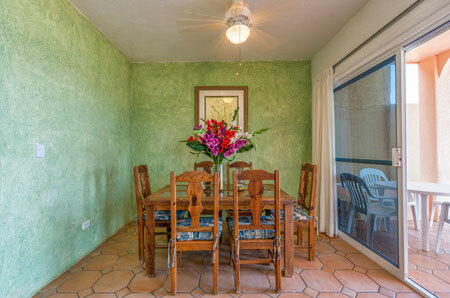 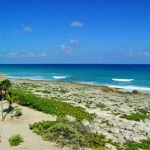 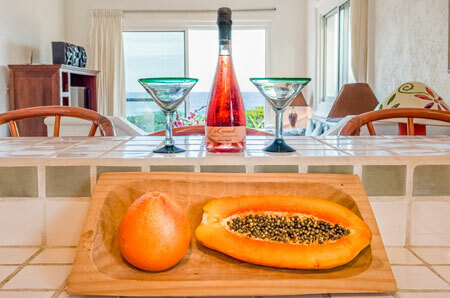 For larger groups we recommend that you reserve Casa Del Mar & Nicte Ha together, since it is located right next door. 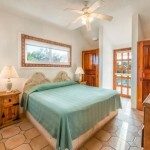 Depending on the season, special rental rates may apply when both houses are rented together.